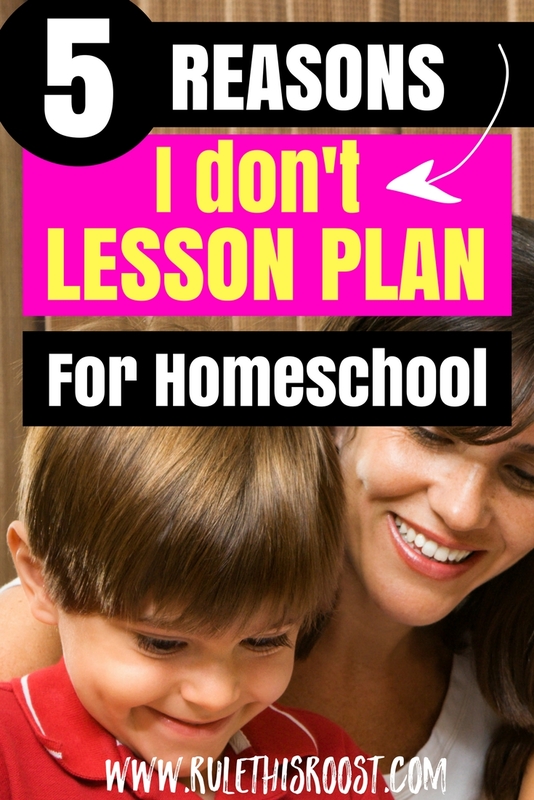 Why I Don’t Lesson Plan For Homeschool… and What I Do Instead. These are the most common questions thus far in our homeschooling journey. I cringe at the long-winded response that my explanation could become. Lessons? What lessons? Lesson PLANS? Yikes. Curriculum? Nope. 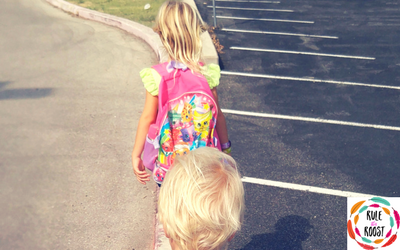 We homeschool–errr, eclectic homeschool. Ummm, unschool. I don’t even know what to call it anymore. To me, emphasizing the type of homeschooling isn’t necessary. I get it. There are different preferences when it comes to homeschooling. What’s important to me is that my kids LEARN. That’s what we do. We learn. We learn through books, through nature, through songs and music and so much more. Now, before you chalk me up as a terrible “homeschoool-unschool-eclectic-homeschool mom”, hear me out. I was a public school teacher and instructional coach for several years. It’s not that I DON’T know how to lesson plan. I’m actually quite good at it. So good, that it becomes counter-productive. What do I mean? Glad you asked! It means that if I sat down to “lesson plan” for our homeschool, it wouldn’t necessarily reflect the current interests of my children. It would be what I **THINK** they need to learn, in the future (whether that’s a month or a year). And quite honestly, this is THEIR education. I want them to LOVE learning. This means that they need to be involved and naturally lead the way in their own learning. To me, the most amazing part of homeschooling is that my kids get to learn about what currently interests them. Want an easy way to plan, organize, track and reflect your unschooling journey? 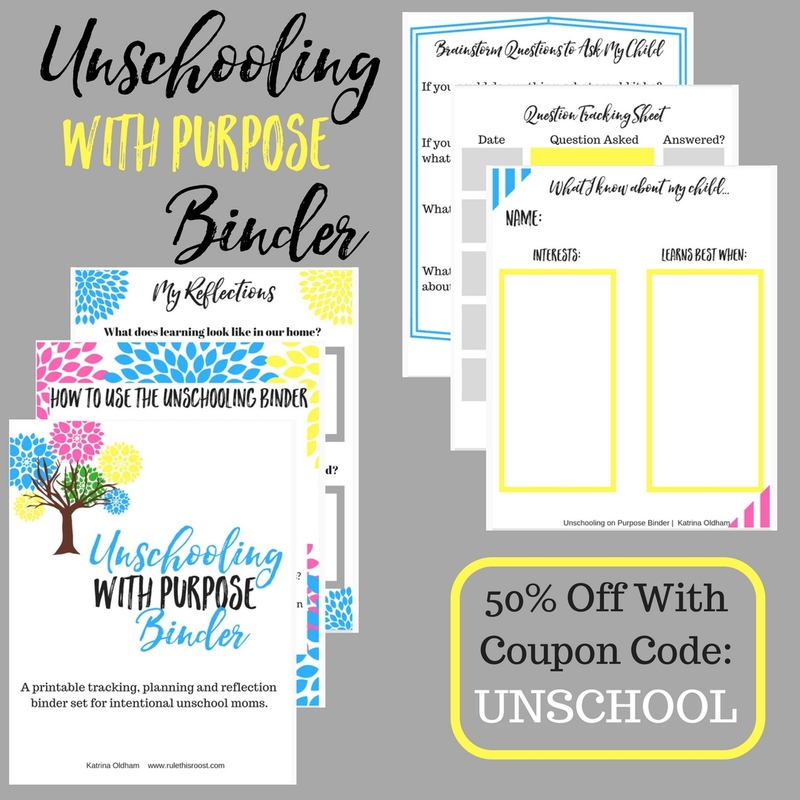 You can grab my Unschooling With Purpose Binder set HERE! 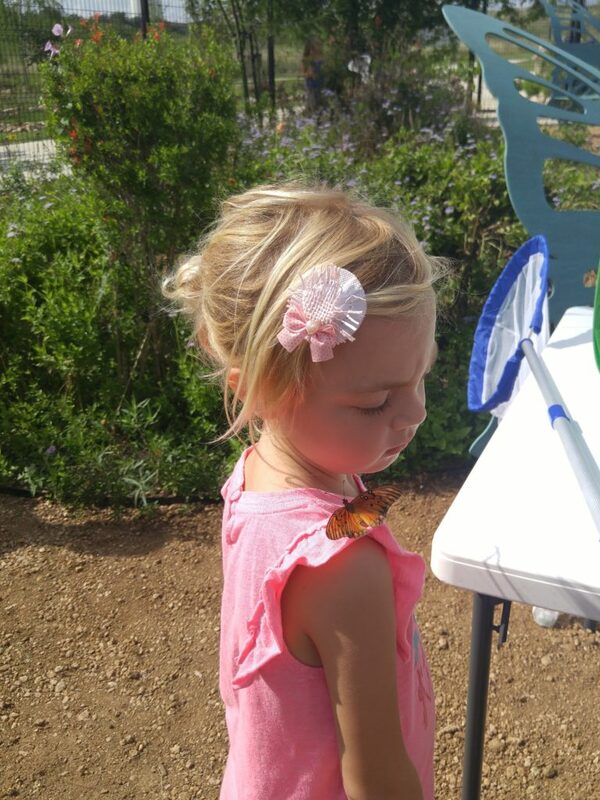 We get to weave in all sorts of learning based on one simple question like “Mama, how do butterflies choose their flowers?” That one question can spark so many other questions that lead to an amazing journey of learning and creativity. So why don’t I lesson plan? I believe in a student-led, interest-based education. If I sit down even a month ahead of time to lesson plan, my kids’ interests will have already changed. My goal is to create a love of learning, not based on a lesson plan, but on a question that can be answered through inquiry and discovery. Kids’ level of understanding changes rapidly. A year ago, I would have never guessed that my daughter would be reading books on her own. I could have planned all sorts of reading lessons for her, only to find out that the lessons did not match up to her ability level. Kids are more engaged when learning occurs naturally. When learning happens in a natural form, there is a deeper engagement and understanding. Education can and should be exciting for kids. When an idea pops into their heads, and they get to explore and discover, they will take their knowledge and learning to an entirely new level. A planned lesson may or may not engage my kids. I would rather not chance it. I would rather spend my time documenting organic learning than lesson planning. At this point in homeschooling, I feel like lesson planning would be a big waste of time. Lesson planning is time consuming and while it does work for some families, I would rather pour that time into documenting organic learning and deciding on where our next field trip will be. Kids get sick, mom gets sick, emergencies happen. I don’t want to be stressed out that we aren’t following a lesson plan because life has gotten crazy. This is one of my less important reasons, but a reason nonetheless. 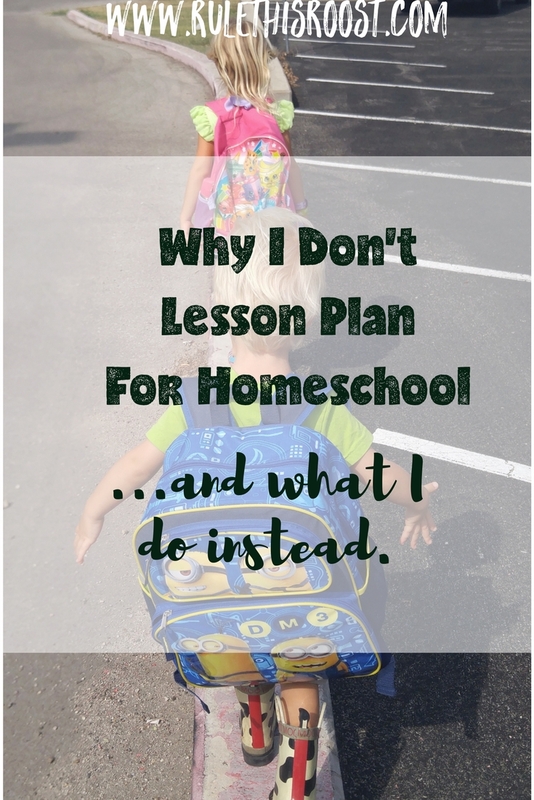 If I don’t lesson plan, then what do I do? At the very beginning of homeschooling I sat down to look at the big picture. How do I want to influence our kids? What big goals do I have for their lives? This Backward Planning Guide post has a free printable for narrowing down big picture goals into yearly goals for homeschooling. These aren’t only academic goals, but also character building goals, etc. On a daily basis, I watch, listen and document. That’s just a big word for “make a list”. I make a list of all of the things that my kids are interested in. This is a “living” list, in that it is always changing and being added to. This helps me keep up with their questions and interests (and we all know that kids have A LOT of questions). I have created a Child-Led Interest Starter Page that you can use to list out your child’s interests and questions. To get the starter page, go to the FREE RESOURCE LIBRARY and subscribe. I come up with a provocation. This is directly from the Reggio Emilia educational philosophy (Read more about that HERE ). Provocations do just as it sounds, they provoke interest. This could be anything from a sensory bin full of dinosaurs and play doh, to a bucket of blocks for building. It really depends on what you have documented and seen as far as your child’s interests. After the provocation is planned, I research more supplemental aides for learning. What books relate to the topic of interest? I often look these up online and then put them on hold at our local library. The kids also check out books they find at the library. In addition to books, I research different technology that can be used to supplement the topic, such as documentaries and/or apps. The most fun, and I feel the most important, is planning for outings/field trips that can build on the interest at hand. Kids truly learn when they are submerged in a topic, so experiencing something first hand is literally the best way to gain a deeper understanding of something. I document what areas of study were covered. Stemming from one interest, we might cover all of the areas of study. For example, when my daughter decided to learn more about butterflies, we not only read about them, but she drew them, counted them, wrote about them and we experienced their beauty in real life. I like to keep track of our cross-curricular learning so that I can reference it in the future and keep progress notes on learning for each area of study. I document what student learning took place. What questions were answered? What new things were learned? Are there any further questions we have yet to explore and uncover? If I see an area that we need to work on, or brush up on, I jot that down and remember to keep an eye on it for future learning. subscribe to the Free Resource Library below. While planning for homeschool might work best for some families, our family takes a hands-off approach that actually results in very hands-on learning. For now, this is what works for us and what leads to the deepest learning and engagement. What does your homeschool look like as far as planning goes? Comment below! This is perfect! I keep trying to wrap my head around how I would describe my homeschooling philosophy ~ and I completely agree with everything here! 🙂 I am also a public school teacher turned homeschooler/blogger, and I love what you said about how a hands-off [teaching] approach results in hands-on learning. Yes! The big picture idea is that they LEARN – if we give them a list of things to learn, that’s really quite arbitrary, most likely not related to their interest, takes time away from what they truly care about, and if we force them to “study” some pre-set objectives relentlessly enough (lol, not that I’ve ever seen that happen! ), we can effectively dry up their love for learning altogether. I love the idea of following their interests and introducing them to the world of information and empowering them to learn anything and everything they care about! 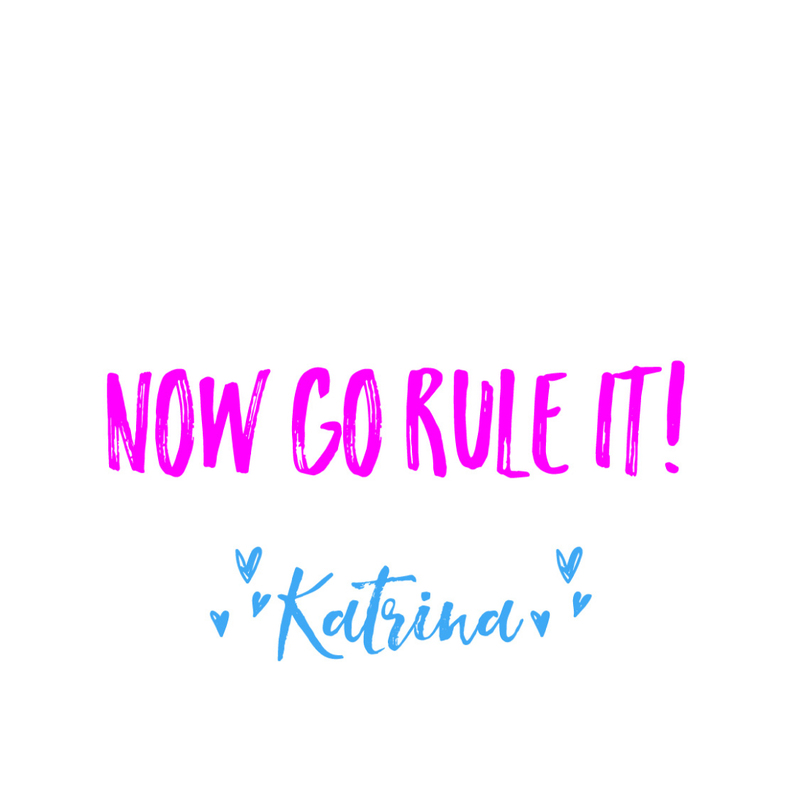 <3 I just subscribed and look forward to following your blog! Thank you so much for stopping by! I’m so glad this resonated with you and your education philosophy! I’ll be stopping by to check out your blog also! This sounds so much like my style! I like to call it relaxed homeschooling. I do have loose plans – I know we will read Life of Fred almost every day (I also just added to this a math worksheet from whatever workbook my daughter wants), that I will do reading with my son (age 5), that we will read Story of the World a couple of times a week, and that we will read aloud every single day. Everything else is life learning, answering questions in the moment, learning about the things we’re interested in, and having GREAT discussions. Thanks for sharing! Yes! Relaxed is a great description! Thank you for visiting and sharing! !